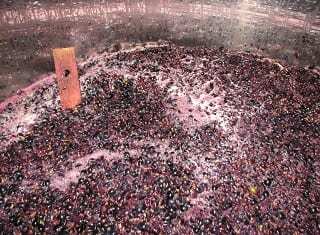 Advances in technology allow researchers nowadays to elucidate wine composition at a much deeper level and to overcome previously insurmountable issues, such as interferences from the wine matrix. Measurement of wine thiols often includes an extensive sample preparation step followed by sensitive and selective instrumental analysis and Mass Spectrometry detection. A recent method using 4,4’-dithiodipyridine (DTDP) derivatisation of thiols tackled some of the previous limitations by decreasing the volume of sample needed to only 20 mℓ and reducing sample preparation time due to the feasibility of derivatisation of thiols at wine pH.5 The method also lowered the limits of detection using MS/MS, making the analysis extremely sensitive. In collaboration with the Central Analytical Facility, the instrumental part of the method has been optimised and tested on convergence chromatography (CC) (Mafata et al. – Foods). CC is an updated version of supercritical fluid chromatography (SFC) and uses supercritical CO2 as mobile phase. Supercritical CO2 is miscible with a wide range of both polar and non-polar solvents. This makes it more versatile for method development compared to Liquid Chromatography (LC) and Gas Chromatography (GC). The efficiency of CC lies in the supercritical nature of CO2 as a low viscosity (high diffusion) mobile phase, which results in better peak separation and shorter run times compared to LC. After testing the performance of the adapted method (repeatability, accuracy, etc) as an application, thiols (3-MH, 3-MHA, 4-MMP and FTM) were measured in South African single cultivar Shiraz, Pinotage and Cabernet Sauvignon commercial wines. The specific wines were selected based on the descriptors available on the labels. Commercial single cultivar wines (Pinotage, Cabernet Sauvignon and Shiraz, 16 each) were purchased in a local supermarket and stored in the vinothèque of the Department of Viticulture and Oenology until analysis. At the time of the analysis, the wine ages were as follows: one-year-old (2017 vintage): nine wines; two-year-old (2016 vintage): 19 wines; three-year-old (2015 vintage): 16 wines; and four-year-old (2014): four wines. The values for the concentrations are presented in Table 1. Shiraz wines had the lowest levels of thiols compared to the other two cultivars. 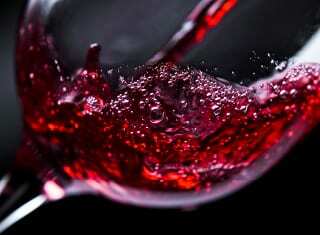 Generally, Shiraz and Pinotage wines had broader ranges of thiols than Cabernet Sauvignon. The range of FMT in Pinotage (0.92 – 186 ng/ℓ) was five times wider compared to Shiraz (0.79 – 36.34 ng/ℓ) and 18 times compared to Cabernet Sauvignon (0.47 – 10.24 ng/ℓ). The overall range of 3-MH in all cultivars was broad (min-max 77 – 363 ng/ℓ) with Shiraz being the most varied. The overall range of 4-MMP in all cultivars was the narrowest (0.3 – 3.24 ng/ℓ, 3.21 ng/ℓ difference) followed by 3-MHA (4.67 – 23.76 ng/ℓ, 19.09 ng/ℓ difference). 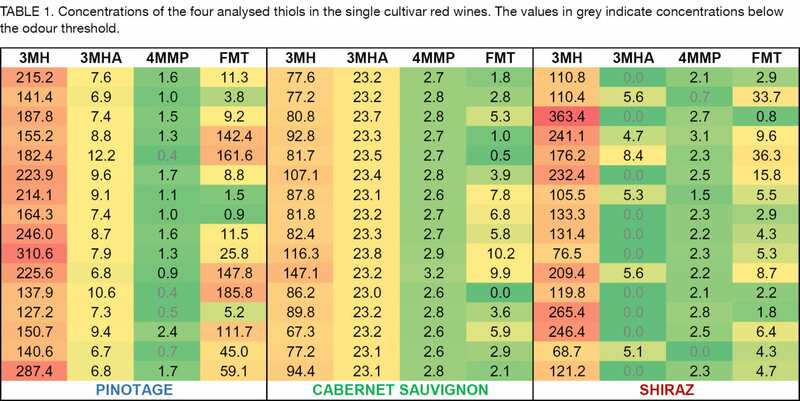 The average thiols concentrations were above the odour threshold, with the exception of 4-MMP levels in four Pinotage wines and two Shiraz wines, and FMT for one Cabernet Sauvignon which was below the LOD (Table 1). Average 3-MH and FMT levels in Pinotage (194±53 ng/ℓ and 58±65 ng/ℓ, respectively) were higher than Shiraz (169±79 and 9±10 ng/ℓ, respectively) and Cabernet Sauvignon (90±19 and 4.7±2.9 ng/ℓ, respectively). The average 3-MHA and 4-MMP concentrations in Cabernet Sauvignon (23.27±0.21 ng/ℓ and 2.77±0.15 ng/ℓ, respectively) were higher than Pinotage (8.33±1.52 ng/ℓ and 1.19±0.53 ng/ℓ, respectively) and Shiraz (5.78±1.23 ng/ℓ and 2.10±0.75 ng/ℓ, respectively). From previous studies, Californian Cabernet Sauvignon wines (n=20) surveyed for 3-MH, 3-MHA and 4-MMP showed comparable levels in thiols, with the exception of the 3-MH concentrations (396 – 765 ng/ℓ),6 which were much higher than in the South African Cabernet Sauvignon. Other studies that measured red wine thiols did so in other cultivars. Studies in Chilean Carmenère7 and French appellations red blends1 reported higher levels of 3-MH (422 – 760 ng/ℓ and 678 – 11 487 ng/ℓ, respectively), with the French blends reporting the highest levels of 4-MMP (5 – 54 ng/ℓ). The Chilean study was the only other study reporting on FMT concentrations, the average of which (34 ng/ℓ) was much higher than the ones for South African Shiraz and Cabernet Sauvignon, but lower than Pinotage. An interesting result of the study by Mafata et al. 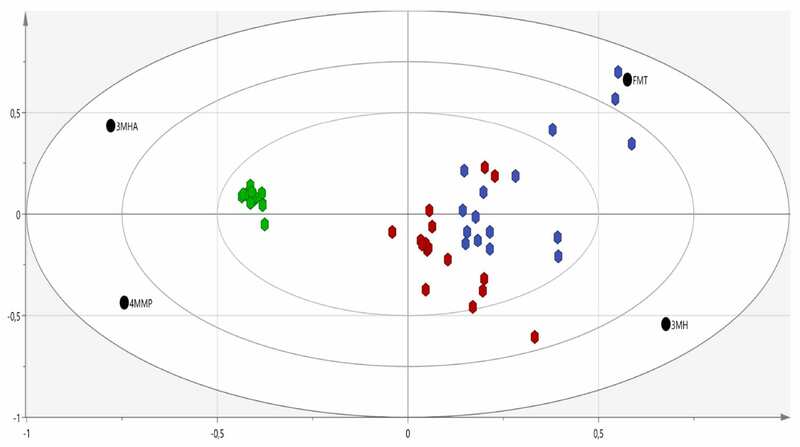 was that the specific South African cultivars analysed (Pinotage, Shiraz and Cabernet Sauvignon) were distinguishable from one another based on their thiol content (Figure 1). Pinotage wines had high FMT concentrations, Cabernet Sauvignon a narrow range of concentrations for all thiols, and Shiraz generally low average concentrations for all thiols. Overall, these aspects made the different cultivars distinguishable from each other based on their thiol profiles. FIGURE 1. Biplot representation of the thiol levels in the table above. The explained variance for PC1 = 48.8% and PC2 = 27.7%. Cultivars are colour-coded: Pinotage (blue), Cabernet Sauvignon (green) and Shiraz (red). Ultimately, this type of high-throughput analysis offers faster access to information on the levels of thiols in a variety of red wines. Its sensitivity can contribute to the elucidation of the chemical-sensorial role thiols play in red wine through interactions with one other, with the volatile and non-volatile matrix, ultimately for better correlation of chemical composition to sensorial perceptions. 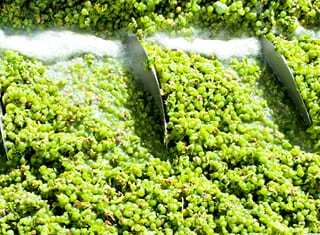 In collaboration with the Chemical Analytical Lab of the Department of Viticulture and Oenology and Central Analytical Facility, the industry could potentially see a faster turnover in information. 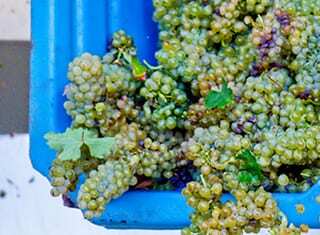 The determination of impact compounds, such as thiols found in wine at ultra-trace levels (ng/ℓ), is achievable using state-of-the-art instrumentation combined with appropriate sample preparation. This work reports the findings obtained using a new method based on selective derivatisation, followed by Solid Phase Extraction and instrumental analysis on Ultra Performance Convergence Chromatography (UPC2) coupled with MS/MS. This analysis is available through the collaboration of the Chemical Analytical Lab at the DVO and the CAF at Stellenbosch University. Rigou, P., Triay, A. & Razungles, A., 2014. Influence of volatile thiols in the development of blackcurrant aroma in red wine. Food Chemistry 142, 242 – 248. Bouchilloux, P., Darriet, P., Henry, R., Lavigne-Cruège, V. & Dubourdieu, D., 1998. Identification of volatile and powerful odorous thiols in Bordeaux red wine varieties. Journal of Agricultural and Food Chemistry 46(8), 3095 – 3099. Naudé, Y. & Rohwer, E.R., 2013. Investigating the coffee flavour in South African Pinotage wine using novel offline olfactometry and comprehensive gas chromatography with time of flight mass. Journal of Chromatography A 1271(1), 176 – 180. Tominaga, T., Blanchard, L., Darriet, P. & Dubourdieu, D., 2000. A powerful aromatic volatile thiol, 2-furanmethanethiol, exhibiting roast coffee aroma in wines made from several Vitis vinifera grape varieties. Journal of Agricultural and Food Chemistry 48(5), 1799 – 1802. Capone, D.L., Ristic, R., Pardon, K.H. & Jeffery, D.W., 2015. Simple quantitative determination of potent thiols at ultratrace levels in wine by derivatization and high-performance liquid chromatography-tandem mass spectrometry (Hplc-Ms/ms) analysis. Analytical Chemistry 87(2), 1226 – 1231. Musumeci, L.E., Ryona, I., Pan, B.S., Loscos, N., Feng, H., Cleary, M.T. & Sacks, G.L., 2015. Quantification of polyfunctional thiols in wine by HS-SPME-GC-MS following extractive alkylation. Molecules 20(7), 12280 – 12299. Pavez, C., Agosin, E. & Steinhaus, M., 2016. Odorant screening and quantitation of thiols in Carmenere red wine by gas chromatography-olfactometry and stable isotope dilution assays. Journal of Agricultural and Food Chemistry 64(17), 3417 – 3421.